The MAGEC System is a magnetic controlled growing rod system manufactured by NuVasive that is used to treat Early Onset Scoliosis (EOS) in children. The MAGEC System includes a titanium adjustable growing rod that is surgically implanted and can thereafter be distracted, or lengthened, externally as the child grows. Our defective medical device lawyers are currently investigating cases for patients harmed by the MAGEC System. There have recently been several reports of the device failing, causing children to undergo unplanned surgeries to fix the device or extract it completely. Congenital - Vertebrae develop incorrectly inutero. Sometimes associated with cardiac and renal abnormalities. 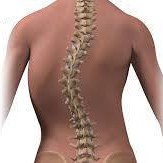 Neuromuscular - Occurs in the presence of neuromuscular disorders such as spinal muscular atrophy, cerebral palsy, spina bifida, and brain or spinal cord injury. Syndromic - Associated with syndromes such as Marfans, Ehlers-Danlos, and other connective tissue disorders. Neurofibromatosis, Prader-Willi, and many bone dysplasias may be associated as well. The MAGEC System includes a titanium adjustable growing rod that is surgically implanted and secured using spinal fixation components, including pedicle screws, hooks, and other connectors. The rod braces the spine during growth to minimize the progression of scoliosis. A magnet within the rod allows adjustments to be made by an External Remote Controller (ERC). When it is time for the rod to be distracted, the ERC is held over the child's spine The magnets in the ERC interact with the magnets in the rod, and the doctor can then control the distraction externally. These noninvasive distractions are meant to be quick and painless, and per the doctor's instructions, the child can often return to normal activity immediately. NuVasive touts the MAGEC System as an alternative to constant surgery. For patients and families, this means minimized risk of infection from open surgical sites, less anxiety and hospital time, reduced medical bills, and less anesthesia exposure to a child's still developing brain. What Complications are Caused by the NuVasive MAGEC System? Recently, there have been many reports of failing MAGEC Systems causing dangerous complications in young patients. A study conducted by the British Scoliosis Society found that 43 out of 195 patients (22%) required unplanned revision surgery. Another study done by International Journal for the Study of the Spine found that out of all available data, rod failure as a cause for revision surgery has been reported in as many as 38% of cases. Metal-on-metal contact can occur in MAGEC System rods as distraction occurs. As the rod is lengthened, the extending attachment grinds against the outer base. This is illustrated in research results that report a reduction in the diameters of the extending bars. In some cases, the reduction was so substantial that it could be seen by the naked eye. In one study, out of the 34 cases of MAGEC rod explants studied, all 34 had significant titanium debris inside. Coupled with the frequent failure of the O-ring seal, that debris was likely to escape from inside the rod and enter the surrounding tissues, thus causing metallosis. It is important to note, however, that there is some evidence suggesting that titanium wear from joint replacements can induce aneuploidy in vitro and in vivo. Recently, links to heart failure have also been reported. Did the FDA Approve the NuVasive MAGEC System? The FDA granted approval based on the fact that the NuVasive MAGEC System was substantially equivalent to the Harrington rod system, which was developed in the 1950s. Because of this approval system, patients and physicians have had to rely on post-market surveillance to detect issues and defects, rather than preemptive testing. How are NuVasive MAGEC System Complications Treated? These unplanned surgeries discredit NuVasive's claims that the device is cost-effective, safe, and non-intrusive. Additional surgeries expose children to an increased risk of infection, as well as the unknown risk of increased exposure to anesthesia at a young age. Because the surgeries are unplanned, the financial and emotional stress is heightened for the patient and family as well. MAGEC System patients that have been harmed by the device are beginning to file lawsuits against the manufacturer, NuVasive. As the manufacturer of the device, NuVasive has a responsibility to its clients and patients. It is the company's duty to ensure that its products are safe and they perform as intended. They also have a responsibility to warn patients of any potential side effects that may occur through use of the device. If your child received a MAGEC System implant and later had to undergo revision surgery, you and your child may be entitled to compensation from NuVasive. MAGEC System lawsuits attempt to recover compensation for the cost of revision surgery, additional medical treatment, pain and suffering, and more. Our award-winning dangerous device attorneys can help you if your child was harmed by a NuVasive MAGEC System. We have the experience necessary to take on powerful manufacturers like NuVasive. We do not charge any legal fees unless you receive a settlement, and we pay all of the case costs. WARNING: There are strict time deadlines for filing NuVasive MAGEC System lawsuit claims. Contact our medical device attorneys and find out if you are entitled to a settlement.